1. What is an ELSS scheme, or tax savings schemes? How much can one invest in them ? Equity-linked savings schemes (ELSS) are investments in a scheme that offer the option to save tax. These funds invest in equities and investors can choose from either the dividend or growth option. You can invest any amount up to ₹1.5 lakh in ELSS to save tax. Since such schemes invest in equities, they give investors the opportunity to earn higher returns over the long run. However, as is the case with all mutual fund schemes, there’s no guarantee of any fixed returns. Once an investor is KYC-compliant, he can invest in an ELSS scheme just like the way he does in any other mutual fund scheme. Investment can be done by filling the relevant form and writing a cheque, either through online fund house websites or through online portals. It is also possible to invest using SIP or STP. Amongst all the tax saving schemes, ELSS has the shortest lock-in period of three years, while the Public Provident Fund (PPF) has a minimum lock-in of 15 years, and allows only conditional withdrawal before that. The Employee Provident Fund is usually locked in for the term of your employment. Other tax saving products such as Tax-Saving Fixed Deposits, or the National Savings Certificate (NSC) are locked in for a period of five years and more. The National Pension Scheme (NPS) is locked in until you are 60, and only allows conditional withdrawal. If you opt for the dividend option, you can get intermittent cash flows as well in ELSS schemes. Finally, in an ELSS scheme, you do not pay any tax on dividend or when you redeem the units. At the end of every month, investors receive a communication from the registrar of mutual funds about transactions carried out during the month and MF holdings as on the date of the statement. All mutual fund folios that witness financial transaction(s) in a month and identical unit holders based on a valid PAN are considered and consolidated to create the CAS. The CAS gives investors a fair idea of their mutual fund holdings. Investor details: The CAS contains the name and address of the investor. Address is the latest registered as per KYC records. Any changes to these details must be addressed to the KYC Registration Agency (KRA). Investment record: A record of all mutual fund transactions across fund houses during the month (fresh purchase, redemption, switch, SIP/SWP/STP) are recorded in the CAS. Each fund house and scheme transaction is shown as a separate entry. Transaction details: Each entry states the transaction details date wise with nature of transaction, applicable NAV, units transacted and amount transacted. Current balance of units in the folio is also reflected. Holding statement: A summary of holdings is provided. This contains all holdings including the folios in which there were no transactions during the month. Cost of investments is also displayed. Other information: The CAS gives investors an idea of the applicable loads on each scheme that the investor holds. It also states contact details of respective fund house and its RTA. Folios held in the name of minors are not considered for consolidation in the CAS. Investors who have opted for email communication receive CAS on email ids; while others receive in hard copy. 1 Time Weighted Rate of Return is a method of computing the returns of a portfolio. 2 It eliminates the distorting effects created by inflow and outflow of money caused by interim investments and redemptions. 3 To compute TWRR for any period, calculate the returns for every sub-period before any contribution or withdrawal occur and then geometrically link these sub-period returns together to compute the return over the period. 4 It is used to compare the returns of managed portfolios like mutual funds where there is no control on cash flows and to compare investment managers’ performance. 5 It requires daily portfolio valuations whenever any contribution or withdrawal occurs, hence not used to compute returns at individual level. HOW HAS Tata Ethical Fund PERFORMED? 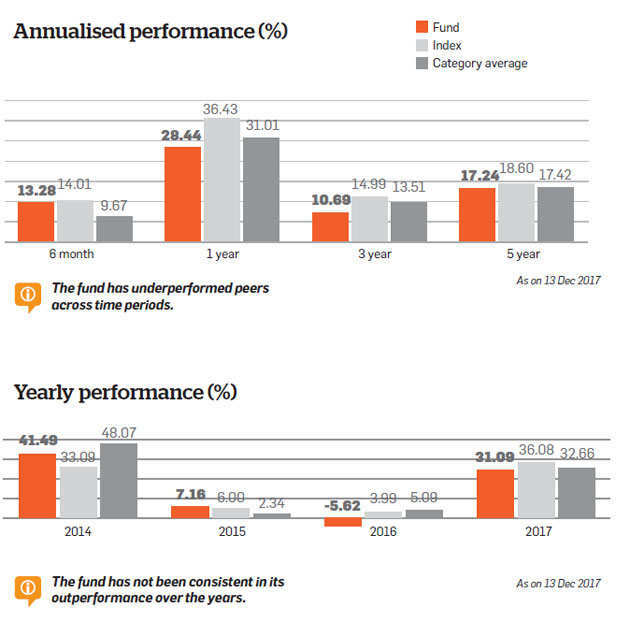 With a 10-year return of 7.62%, the fund has underperformed the category average (8.63%), while faring marginally better than the benchmark (7.11%). Being a Shariah-law compliant fund, this scheme stays away from the banking and finance sector and avoids some of the ‘sin’ sectors like alcohol, armaments, and even hospitality, among others. It doesn’t have any market-cap bias, but currently its tilted towards large-caps. It has raised exposure to the midcap segment in recent months, resulting in lower portfolio market cap relative to peers. The fund prefers companies with high capital efficiency, low leverage and high cash generation ability. 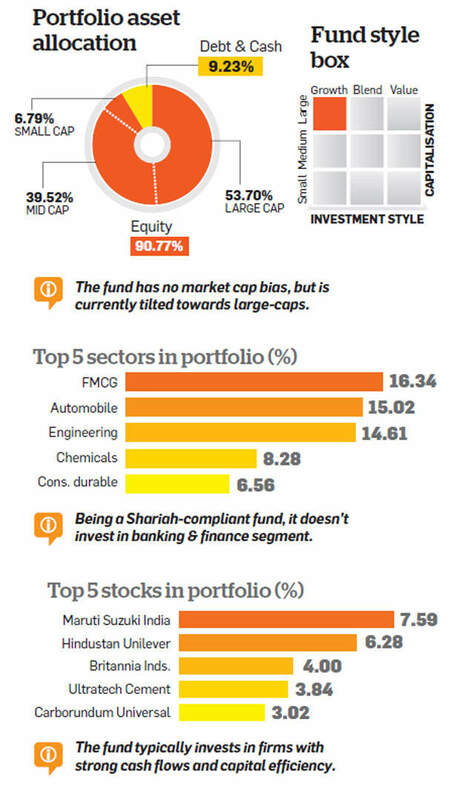 The portfolio is reasonably diversified, with the fund manager taking aggressive positions in the top picks. The fund’s performance has been inconsistent over the years. This fund is purely for investors looking for the ‘ethical’ investing approach and not keen on investing in funds skewed towards banking and finance firms. It’s a challenge to choose a mutual fund scheme given the number of mutual fund schemes out there. Below are the various checks to keep in mind while comparing mutual funds. Choosing a fund house in which you have sufficient faith to invest your money is important before zeroing in on a scheme of your choice. Investors look for fund houses which can take care of their investments and can manage their money well. Objectives set by fund houses help investors meet their goals, thus securing their future. If the objectives are not met, investors lose faith in the fund house. It is important to know how the fund manager manages the funds under him. One needs to ascertain how schemes have performed during various market cycles managed by the fund manager. A good fund manager is not only important for the fund house but also for an investor. The next important check is to know the philosophy of the fund house. A set of guiding principles that inform and shape an individual’s investment decision-making process is termed as the philosophy of the fund. The fund house’s investment philosophy plays an important role in determining the performance of its funds in different market conditions. The selection of the funds, investment decisions are directly dependent on the fund philosophy. The amount of money spent by an asset management company (AMC) on the upkeep of a mutual fund is measured as the expense ratio of a fund. The fees of the advisor, record-keeping, legal expenses, accounting, auditing fees, etc., are what make up the expense ratio. Higher churning of portfolio leads to higher costs. It is an expense borne by the investor and is deducted from the investment. For example, if you have invested Rs 100 and the expense ratio of the fund is 1.25, then your investment is `98.75. Lower expense ratio means that higher amount is available for investment. In order to maintain a good relationship with customers, there has to be a high level of transparency. This holds true even for mutual funds, as all mutual funds disclose the stocks they buy through factsheets. Sebi’s new rule, instituted on October 1, 2016, requires AMCs to disclose all commissions paid to distributors in the half-yearly consolidated Account Statements (CAS) they send to investors; all these in an effort to bring more transparency into the system. It is only when Sebi brought the commission disclose rule that we started paying trail commission to distributors in the regular plan effective April 1,2017, by letting the investor know exactly where the money is going and that it is serving the interests of consumers first. So when it comes to long-term wealth generation that puts the investor first, it may make sense to invest in a fund which focuses on transparency and controlling costs—rather than investing in a typical high-cost mutual fund that consciously uses big ads to attract your money! The last factor is return on investments. All the above factors are major drivers behind the performance of the funds. There are many other factors which have direct and indirect impact on performance of the funds; however, we have discussed the major factors above. Moreover, it is important to understand that performance of a fund can change over a period of time (positively as well as negatively). However, its philosophy, ethics, investment strategy are the main pillars. Don’t just compare the performance of the fund in isolation. To conclude, sound knowledge and research is very important before choosing a mutual fund to park your hard-earned money. HOW HAS Tata India Tax Savings FUND PERFORMED? With a 10-year return of 11.9%, the fund has outperformed both the category average (10.4%) and the benchmark index (7.3%). 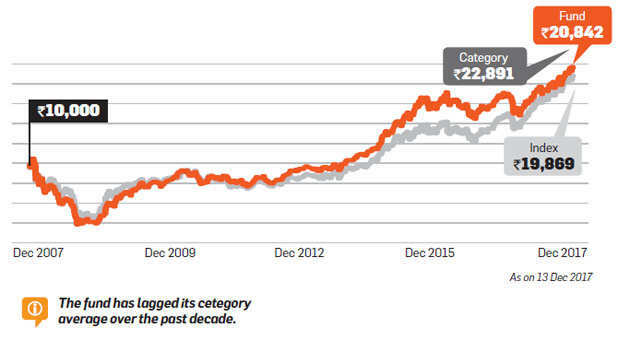 Tata India Tax Savings fund has outperformed the category average over the past decade. The fund has not been consistent in recent years. 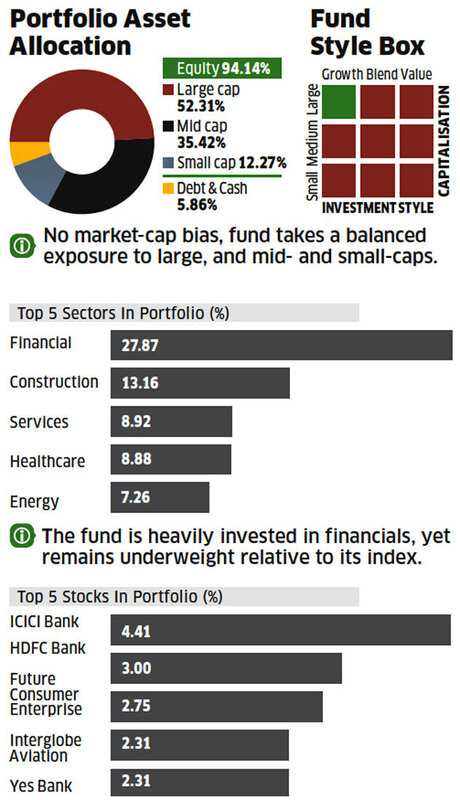 The fund’s portfolio is heavily diversified with modest exposure to top bets. 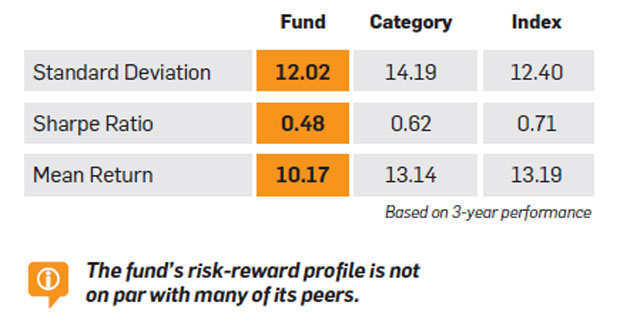 The fund’s risk-return profile is superior to many of its peers. This tax-saving fund has no market-cap bias. However, it retains a slant towards mid-sized firms compared to peers, evident in its lower portfolio market-cap. The fund manager prefers growth businesses with scalability and capital efficiency. He adopts a basket approach to portfolio construction, with multiple picks across market-caps within each sectoral bet. Over the past one year, the portfolio size has grown resulting in a heavily diversified approach with modest exposure in the fund’s top picks. While the fund has not been consistent in recent years, it has outperformed its category across time periods. With a much superior risk-return profile compared to most peers, it can be a worthy pick, if it displays greater consistency in outperformance. As the mutual fund industry celebrates record assets under management in June 2017, there’s a new phenomenon that has contributed to this feat – the runaway popularity of systematic investment plans (SIPs). But as with all good investment ideas, SIPs have also fallen victim to hype and misconception. Here, we bust three common myths about this investment tool. SIPs are not a separate asset class like bank deposits, equity funds or debt funds. They are only a method or tool to invest in the asset class of your choice. SIPs reduce the risk of capital losses in equity funds but don’t eliminate it. If you start an SIP at a market high and the market falls sharply after you began investing, you will lose capital even on an SIP investment. We conducted a comprehensive study on the performance of SIPs across all diversified equity funds for the last 20 years recently. The study showed that it is only on SIPs that run on for four years or more that capital losses were a rare possibility. This again is a function of how equity markets in India have behaved. Because bear markets in the last two decades have never lasted for more than four years, SIPs too never made losses if continued for over four years. Therefore, while investing in SIPs be aware that you still take on the risks of the asset class you are choosing. If you are doing SIPs in large-cap equity funds, there’s some risk of a capital loss. If the SIP is in mid- or small-cap funds, the risk of that loss is higher. If you are running an SIP directly in stocks, there’s an even higher probability of losses. Quite a few seasoned investors are enamoured of using the SIP route to invest in sector or thematic funds. But SIPs are, in reality, a very sub-optimal way to invest in sector funds. This is because sector funds, by their very nature, are designed to deliver returns for investors over short market phases of three-five years. Stocks in a specific sector typically outperform the market when the sector is enjoying exceptional profit growth due to an upturn in the business cycle. The market then uses this opportunity to re-rate the valuation multiples of such stocks. However, after a three- or four-year spell of good returns, sector fads in the market usually fizzle out. A big meltdown then follows, wiping out all the previous gains. Investors in sector funds, therefore, need to get their timing exactly right to capture this outperformance. They need to invest when the sector is beaten down and exit when the fad is at its peak. Using the SIP route, however, works against this process. Just assume you think IT stocks are beaten down today and start an SIP in technology funds. The sector may be cheap when you kick off your SIP, but what’s the guarantee that stock valuations won’t run up even as your SIP is continuing? The other problem with SIPs is that by putting your decisions on autopilot, they take away your incentive to track the markets closely. This can deplete your returns in sector funds. Before you know it, the sector may have peaked out and head downhill. So if you think IT or pharma stocks offer great value today, scrounge up the lump-sum money you can and invest it in these sector funds. But if you lack the conviction to make this big bet, it is best to avoid IT or pharma funds altogether and stick to diversified-equity funds. No point in opting for a high-risk investment and then trying to hedge your bets! If SIPs work so well in mutual funds, won’t they work even better with direct equity? After all, stocks can earn multi-bagger returns which few equity funds can deliver. That’s an oft-heard argument in a bull market. In fact, many brokerages now offer daily or monthly SIPs on your favourite stocks. Yes, stock SIPs can help average your buy price. But while signing up for them, you need to keep three checks in mind. One, when you accumulate a stock via SIP, you can end up owning too much of it in your portfolio if you don’t keep a careful watch on the individual stock or sector weights. When you invest in a stock, the exposure you take to it usually depends on how bullish you are about its prospects and how it compares to the other holdings in your portfolio. However, it is harder to keep track of relative portfolio weights when you invest through SIPs as compared to lump-sum purchases. Two, multi-bagger returns in the market come from identifying stocks that are undiscovered, entering them at low prices and then tracking the business closely to ensure that it is meeting expectations. SIPs, by nature, are designed to put your investment on auto pilot. This may work reasonably well in a fund, where the fund manager takes care of your portfolio. But when you do a stock SIP, close monitoring of returns on your part is essential to avoid bets that backfire. Three, if you’re a seasoned investor, you would know that no stock is a perpetual ‘buy’ at any price. Often, stocks or sectors that appear to be great buys at one point in time turn out to be avoidable just a few months later. When you sign up for SIP in a mutual fund, you are buying into a professionally managed portfolio, where the identity of individual stocks can keep changing. The fund manager actively reshuffles his bets at different market levels based on the options available. But with a stock SIP, it would be up to you to ensure that the stocks that you’re regularly buying are good acquisitions over time. You will have to keep a close watch on both the company’s performance and the sector’s to ensure that accumulating it remains a good idea. To sum up, SIPs are great investment tools when you use them wisely, stay the course and are fully aware of the risks of equity investing. But they aren’t a magic pill that will deliver great returns, irrespective of the asset class or investment situation. SBI Magnum Multicap Fund scheme would invest in equities and equity related instruments of companies spanning the entire market capitalization spectrum. The fund will invest 50-90 per cent in large-cap stocks, 10-40 per cent in mid-cap stocks and upto 10 per cent in small-cap stocks. This was among the less-known SBI schemes a few years ago. But a steady improvement in performance has now made this fund a hard-to-ignore option in the multi-cap category. SBI Magnum Multicap Fund has managed a strong climb up the ratings ladder from just one star in 2012 to five stars now, without any hiccups in performance in recent years. In terms of market-cap tilt, the fund is more mid-cap tilted than its peers. In the last year or so, the large-cap allocation has been at 45-55 per cent at most times, with mid-cap weights at 25-35 per cent and small cap exposure of about 15-20 per cent. The fund is 10-11 percentage points lower than category on its large-cap exposure. This fund manages the relative weights between large, mid and small caps quite actively. Like other SBI funds, this fund too filters stocks based on compounding ability, capital efficiency, quality of management and potential for growth. SBI Magnum Multicap Fund has managed particularly large outperformance of the category as well as the benchmark both in 2015 and 2016, which were good years for mid-cap stocks but challenging years for large-cap stocks. Though the performance has been more muted in 2016, this show has led to its three-year and five-year returns beating its category by 4 to 5 percentage points and benchmark by a comfortable 7-10 percentage points.